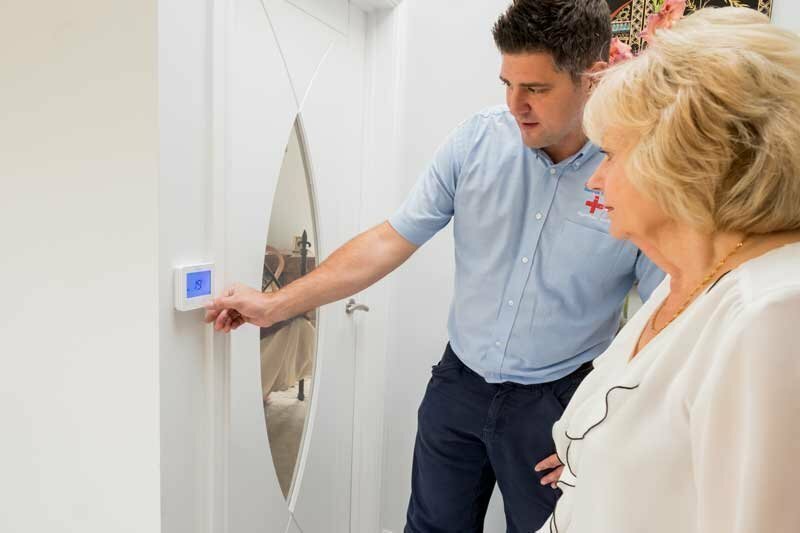 Our goal is to be your first choice provider of heating solutions and services. 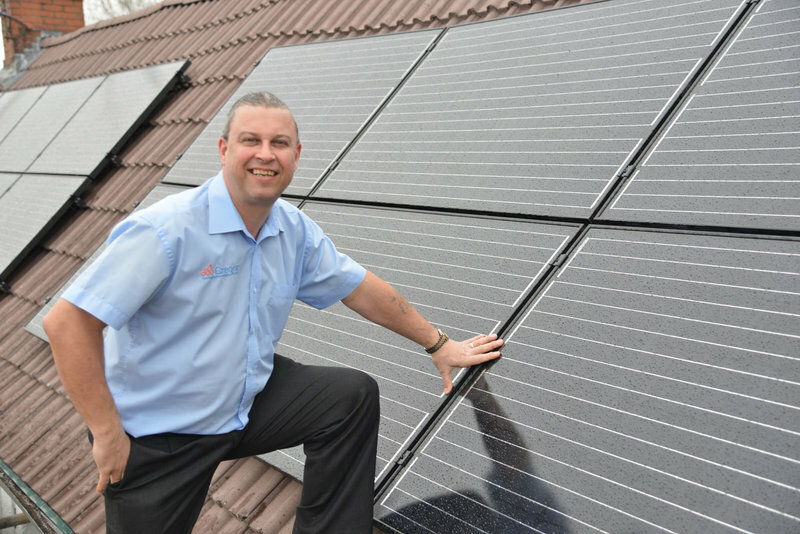 Whether you’re looking for a new boiler, a boiler service or to install a renewable technology such as a Heat Pump or Solar PV we can help. 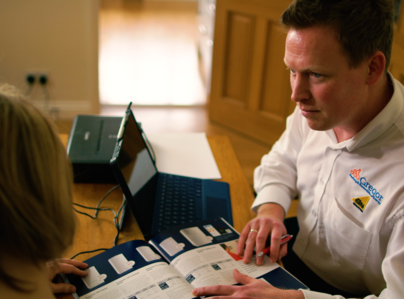 We guarantee you'll be well looked after by our friendly Customer Service Team and our FREE expert survey will ensure you make the right choice. 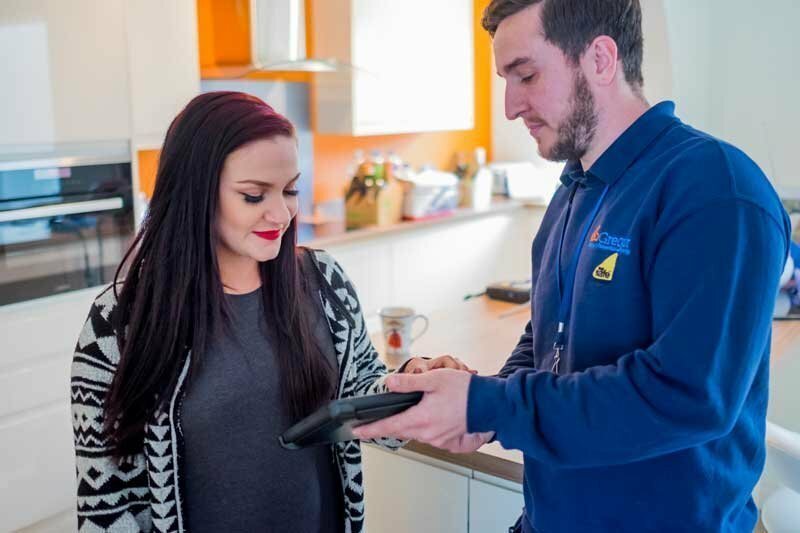 On-site our experienced Gas Safe registered engineers take real pride in their work and always deliver a pro service you can trust. There’s no question of cutting corners and we always arrange our work at a date and time that suits you to cause the minimum disruption. Competitive prices and finance options are available. We're not happy until you're happy. That's our promise and the Gregor Guarantee. 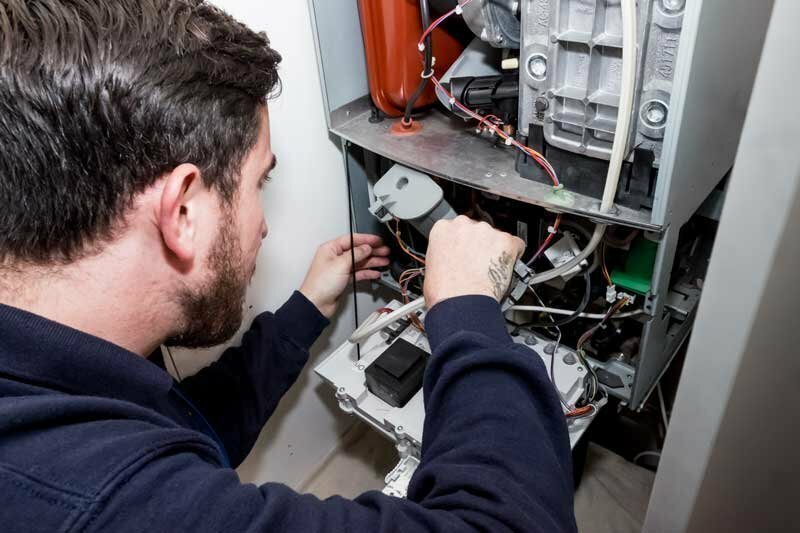 Had Mark from Gregor arrive to remove our old boiler and replace it with a new one along with new radiator thermostats. I can not rate Mark highly enough he is an absolute professional and a credit to Gregor. I would highly recommend both Gregor and Mark to anyone thinking of replacing their boiler. Always lovely to receive reviews about our engineers and we have passed this onto Mark. We are delighted you are so pleased with the service received and many thanks for leaving a review. Outstanding Company to deal with! We were in need of a replacement boiler and duly obtained 3 quotes. I run my own business so I am generally keen to place my business with independents if they come up to the mark. To be quite honest, they were brilliant. All of our contact with the company and their workers and representatives has been great. 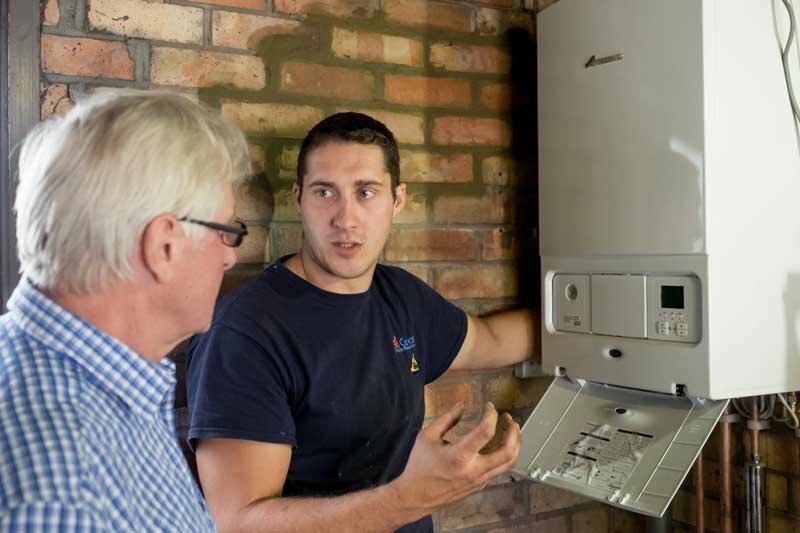 The price quoted was very good and he guarantee on the boiler wasn't matched by any other company (even though they were quoting for the identical boiler). 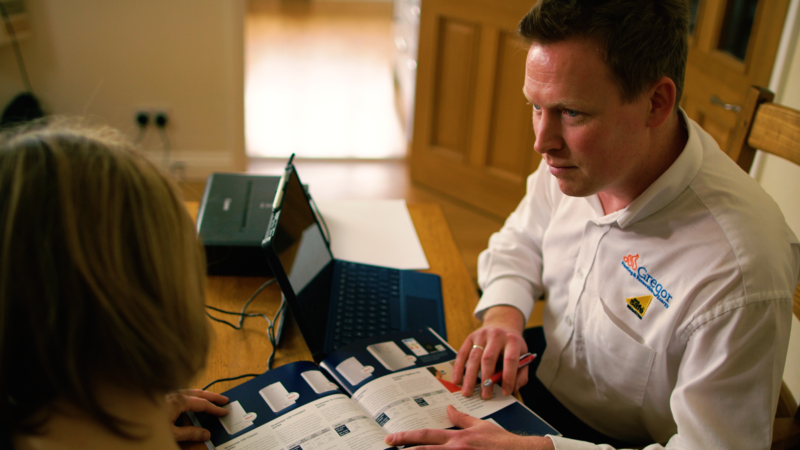 We arranged a formal survey once we had accepted their quote and agreed an install date. Mark, our engineer, turned up when promised (7.30am) and immediately got the job underway. There was little disruption and the electrician and builder arrived as planned to fulfil their parts in the job and by the end of the day all rubbish etc had been collected by another man! By 4.30pm our boiler was up and running and hopefully starting to save us some money on our gas bills! All the people involved were professional and courteous and I really couldn't recommend them more highly. Thank you! Thank you for your support of an independent business, we understand how important this is. Really pleased the service throughout was 5 star for you. Thanks again for leaving a review. Removed old gas back boiler and replaced with an electric boiler, hot water cylinder and associated plumbing. The work was completed to the agreed schedule with the minimum of disruption. The tradesmen were punctual, polite and professional with good communication about progress etc. The work, particularly the plumbing in of the new boiler was skilfully done. The new boiler and its plumbing is like a work of art. There was a slight hiccup with the supply of materials but this was easily overcome. I would highly recommend Gregor for this work. Thank you for your 5 star and honest review of using Gregor Heating. We really appreciate you taking the time to feedback to us. 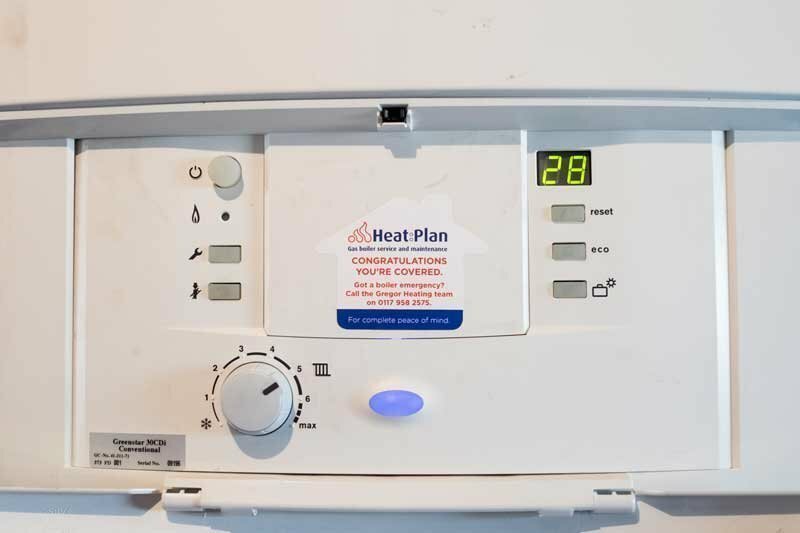 I was very pleased with the engineer who came to install a new boiler he was very polite and considerate, and carried out the work to a high standard. All the employees at Gregor were helpful. Thank you Janet, we aim to please! Glad you are pleased with the all round service. Quality product, from survey to completion. 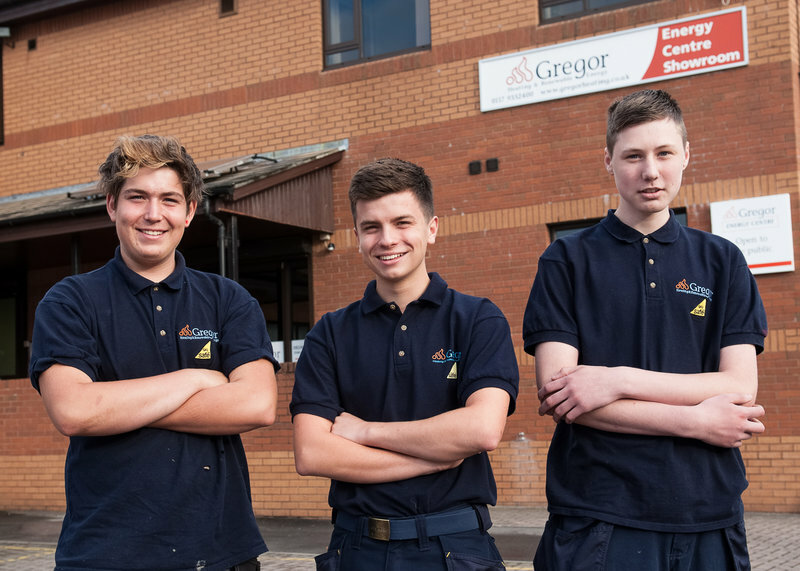 It was a pleasure to deal with Gregor Heating. Would have no hesitation in recommending Gregor. Quality product installed with care by a competent engineer who from start to finish was very polite, professional and clean in his work. Absolutely first class. Very pleased with work done. Pleasure to see product & fitting come together 100% in this day & age. Would recommend Gregor. Thanks for much for a 5 star review, John. Appreciate your feedback and that you are happy to recommend us. This means a lot to us. 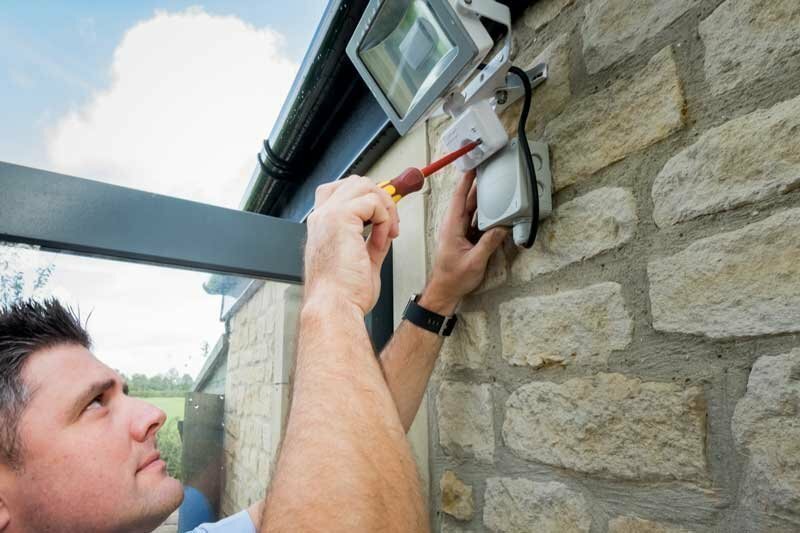 Prompt, professional, courteous and knowledgeable from initial contact (Adam C) quotation, surveyor (Wayne B) customer contact and installation arrangements (Sarah) installation (Mark G) invoicing payment and minor problem resolution - all were professional, helpful and quick to provide appropriate answers or assistance as required. Many thanks to all. Thanks Nick, for taking the time to thank everyone for their involvement. Its definitely a team effort. Glad you are happy with the service provided. We had a Worcester combi boiler installed by Craig on the 17th Jan 19 - including controls and power flush. Excellent service from the initial quote by Adam through the follow up visit and then finally the install by Craig. I have to say I was surprised when he turned up to do the job on his own - but I shouldn't have been. He was professional, friendly and obviously very good at his job - completing the whole process before 5pm, solo! The installed boiler looks great - much neater job then we had on the old boiler (installed long before we got the place). Cannot recommend Gregor Heating enough. Don't bother looking anywhere else - their follow up plans are far better value then BG to! Thanks so much for your kind feedback. 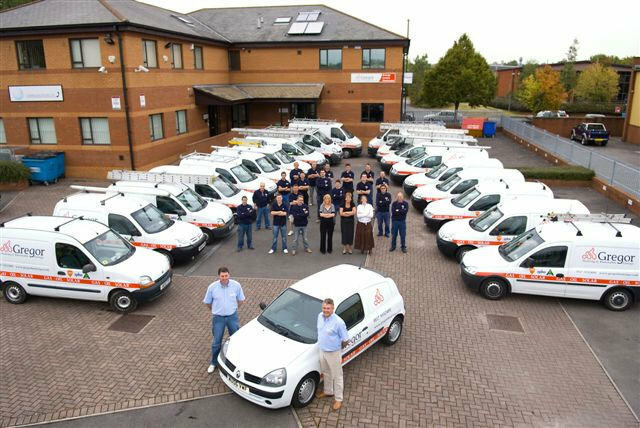 We aim to finish the job as efficiently and quickly as possible and are so pleased you experienced this. Conor installed a completely new heating system for us in our 1930's house. He worked very hard, as always professional and knowledgeable. 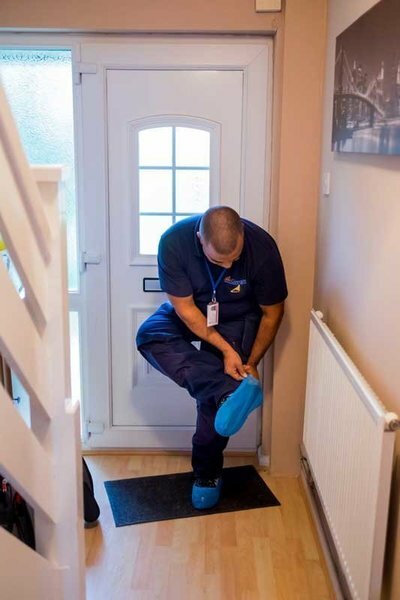 Conor was able to resolve problems that occurred and completed work to a high standard, leaving the house clean and tidy. He kept us informed of the progress of the installation, kept to schedule and communicated clearly to explain the system. Hi Julie, thanks for letting us know about your experience, appreciate you taking the time to leave a review. Feedback has been passed onto Connor. Thanks again. All three tradesmen involved in my boiler did an excellent job. They were all professional and polite, worked hard and left my home very clean and tidy. The standard of work is first-rate. Hi Adam, thanks for taking the time to leave a review. We are really pleased you had such a great experience. Boiler replacement carried out over two days. All done to agreed schedule and budget. All Gregor staff - both by telephone and in person/on site were very professional and helpful. We would have no hesitation in recommending them. Glad expectations were met and you are happy with the service you received, Rachel.